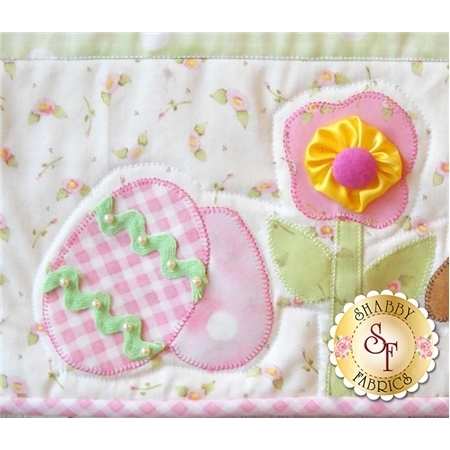 Easter Bunny Runner is a Shabby Fabrics exlusive design featuring a sweet 23" x 50" tablerunner adorned with plenty of colorful pastel eggs, flowers, bunnies and of course, lots of fun embellishments! Quick and simple fusible applique makes finishing this table runner a snap just in time for Easter. 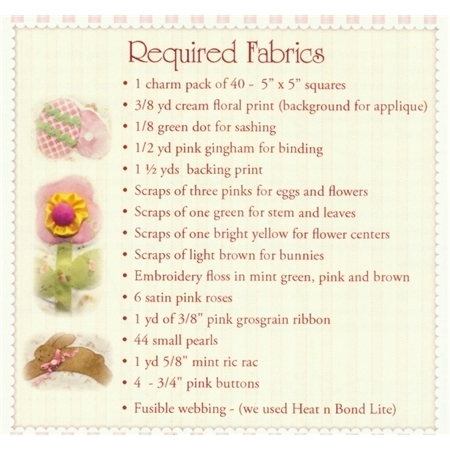 Be sure to pick up the coordinating Easter Bunny Tea Towel pattern.